Young people faced with gurus and other feet-of-clay mentors who seem so full of light will need to see via the light of their own rational questioning. All of us need to question our values such as any misplaced ‘political correctness’ and nebulous notions of ‘freedom of religion’. We need to challenge essentially corrupt, autocratic, backward-looking cults like international Sathya Sai Organization. These threaten genuine freedom and the health of society at large. The foes of the ‘open society’ (in Sir Karl Popper’s term) are those who use its very openness to achieve their closed and devious ends. See Robert Priddy’s and my extensive four-part article: The Sathya Sai Organization’s Deception and Propaganda Exposed. In India, challenge to corruption widely stirs. One of the great complicitors in protecting Sathya Sai Baba and his cult, the present Indian Prime Minister, Manmohan Singh, was further tarnished by the violent manner in which he responded to widely peaceful and articulate anti-corruption protests. See my articles: Anna Hazare’s Arrest. Dark Days For Indian Democracy, August 17, 2011, and: UK In Flames. But Not India. 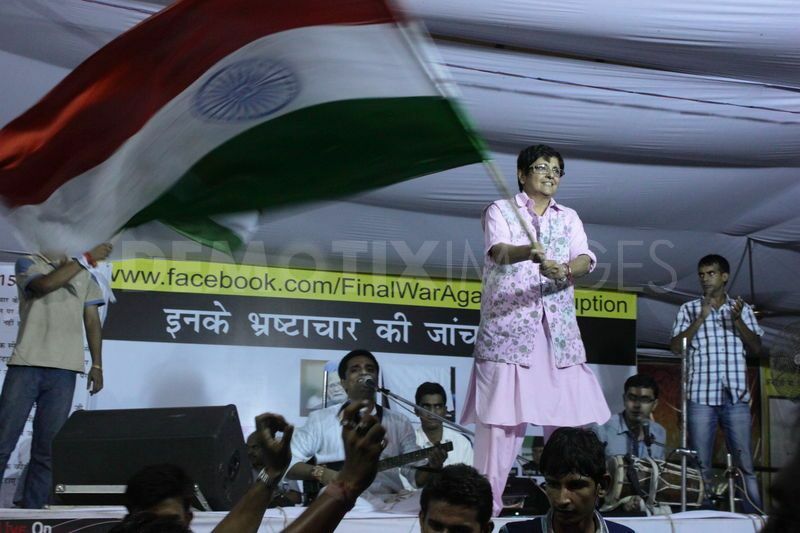 Anna Hazare Sets Example Of Peaceful Protest, August 17, 2011. NEW DELHI: Civil society’s battle against corruption acquired its sharpest edge ever on Tuesday as veteran social activist Anna Hazare began a fast unto death at the capital’s landmark Jantar Mantar demanding greater public role in the Anti-Corruption Bill (Lokpal Bill), which has now been considered and put aside by successive regimes for the last 42 years. Anna Hazare ignored several pleas of the government to defer his fast as he stood firm on his demand for a joint committee comprising government and civil society leaders to rework the current draft Lokpal Bill. He maintained that the current Bill covering only politicians was inadequate as politicians often colluded with officials to indulge in corruption. Sahil Moldharia, 22 August, 2011. India is still in many ways profoundly gerontocratic. In a deeply traditionalist country, (mainly) old (mainly) men, preponderantly, have consummate skills in retaining power. This deadly hand of state is not first mediated via external exercise of political power, but unreflectively rooted in practically every home, and in every caste and class, and, in turn, in thousands of years of history. The internet generation of India’s young is, of course, extraordinarily IT savvy. Superficially, it may all seem like a grand silicon break from the iron grip of hidebound past. But these young people (often bright, charming and delightful when I meet them to this day) are, effectively, the all-too-unwitting toys of rulers who are old, and who can use all the old tricks of control. Or rather – one should say – of mind and soul binding. Especially is this so in the use of religion, the caste system, nepotism, arranged marriages, etc., to keep things much the way the corrupt and canny old players of statecraft want. If one wants to understand them better, read the ‘Arthaśāstra’ of Chanakya, who pre-dated his kindred spirit in renaissance Italy Machiavelli by 1800 years. Anti-corruption campaigners protest in India as Anna Hazare continues to attract crowds in New Delhi even though he announced on Thursday evening that he will end his ‘Fast Unto Death’ on Friday. January 20, 2011 – Program on Liberation Technology News. It is also good to see contributions of educated, young Indians like Vivek Srinivasan (see below) expertly and pragmatically discussing the potentials of IT (and other systems) in combatting corruption. It is for a long, sad while that I have sought any of my former students at the Sri Sathya Sai College of the Arts, Science and Commerce, via Bangalore, Karnataka who would fit among the research-based and courageous activists of whom Vivek Srinivasan speaks. Some of the researchers into social inequality and corruption are no strangers to being beaten up. One of them is quoted as saying: “I would rather give up my life than give up my papers”! By no means are technical means of corruption exposure at all expensive. Many methods are essentially simple and within the grasp of many or of most. They can be very imaginative and resourceful. (Some examples of the success of a handful of us in exposing worldwide, give evidence of this – especially, of course, the internet – in bringing down Sathya Sai Baba and his cult. The younger generation now have far more tools, great and small, than our activists have had available to us).